Opulent and resplendent, this Hampstead Bed looks majestic with sweeping scrolled carvings that add elegance to your bedroom decor. Bestowed with bun feet, it provides extended support while looking elegant. The antiqued bale and knob hardware adds a decorative touch to the design of the bed. The exclusively padded headboard in dark brown leather finish with the crest well above the nail work shows intricacy involved in its construction. 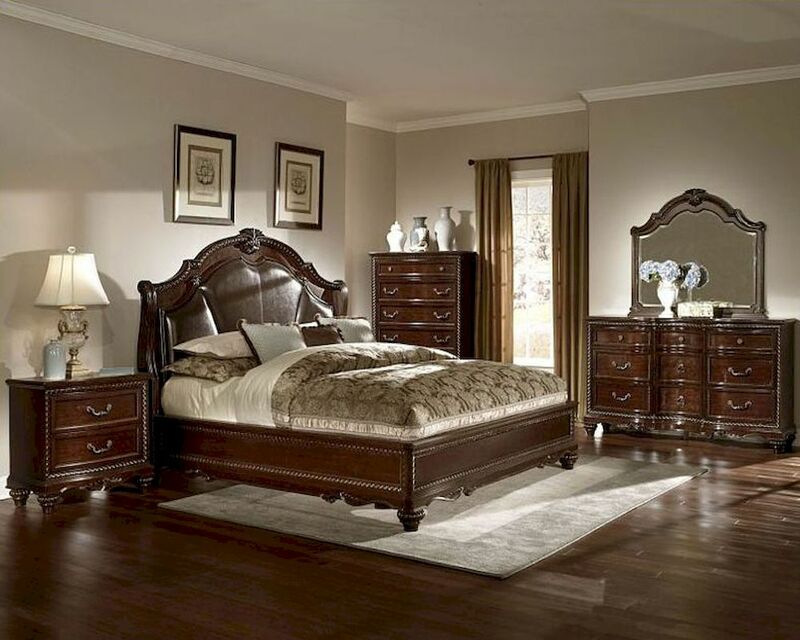 Moreover, the rich cherry finish on mappa burl veneers enhances the beauty of the bed with grace and beauty.